Last year I started organizing concerts dedicated to traditional American music. With the help of Nick Montemarano, we are continuing this work under the banner of the Southern Pacific Sessions. We will be hosting concerts and workshops in the beautiful and intimate Kalabash School of Music + the Arts and documenting concerts for an online video series. 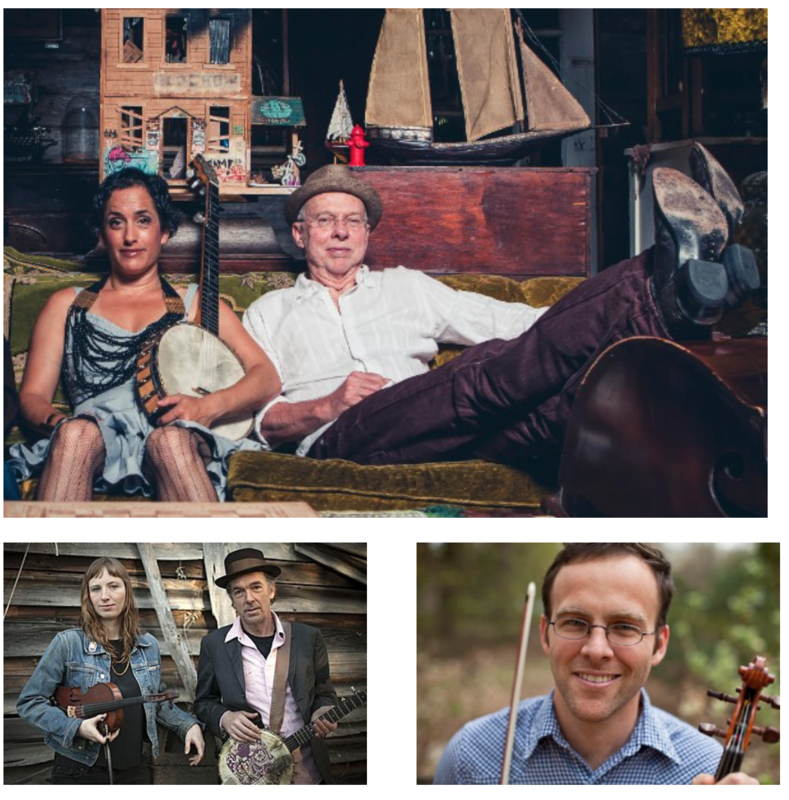 I’m thrilled to share the first three artists we’ve booked: Evie Ladin and Keith Terry, Ritchie Stearns and Rosie Newton, and Joseph Decosimo. Visit our calendar page for the full scoop on these amazing artists. Please like, follow, share, and I’ll see you at the shows! I’m proud to announce the G Burns Jug Band is again teaming up with jug band and folk revival legend Jim Kweskin for a very special concert presented by San Diego Folk Heritage on Saturday March 24th. We had our first rehearsal with Jim this weekend and can’t wait for you to hear what we’re working up. Info and tickets on the San Diego Folk Heritage website.